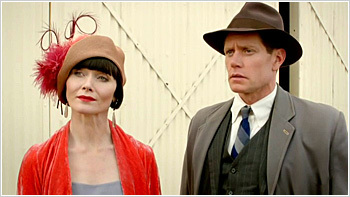 The highly stylish Miss Phryne Fisher continues her foray through the colourful world of 1920s Melbourne solving crimes and turning heads. 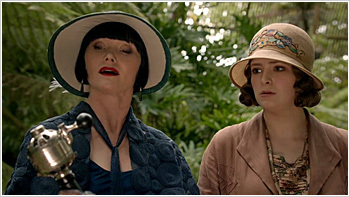 Phryne's investigations take her from an appearance in a glamorous magic show, to a high flying murder on the RAAF base, to the chic world of women's tennis, and finally to the grimy backwaters of Collingwood where she grew up. 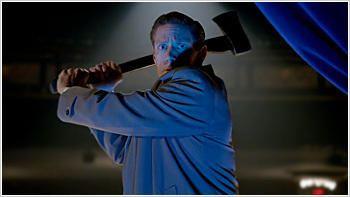 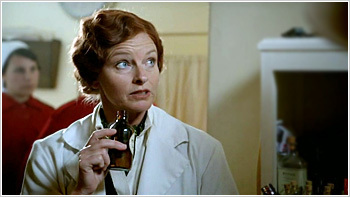 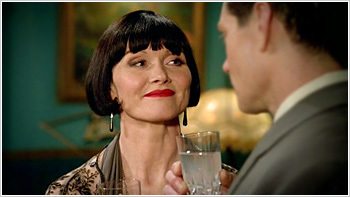 Whilst her investigations are dangerous, she does it all with élan and a great sense of fun. 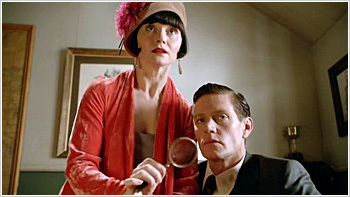 Phryne seems to have it all together, but when her reprobate father turns up on her doorstep carrying the family fortune, things get a lot more complicated for our elegant sleuth. 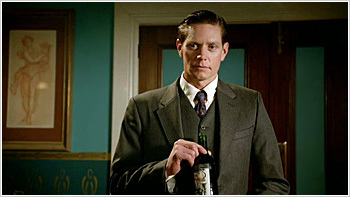 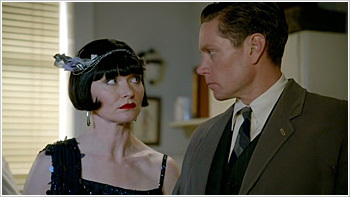 This together with the fact that Jack and Phryne's attraction has become hard to deny, makes for compelling viewing. 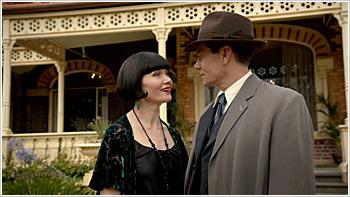 Originally based on the stories of crime writer supremo Kerry Greenwood, this series sees the creation of new stories that thrust Phryne into the kinds of dilemmas from which only her sharp thinking and pearl-handled pistol can save her. 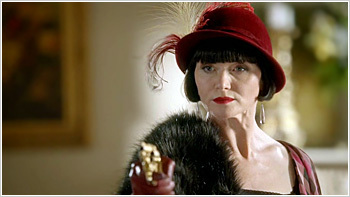 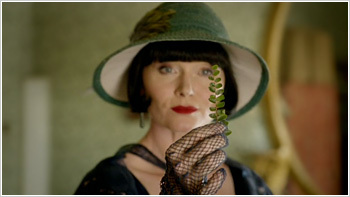 Phryne Fisher, lady detective, is wealthy, stylish and unconventional — solving crime has never looked this good! 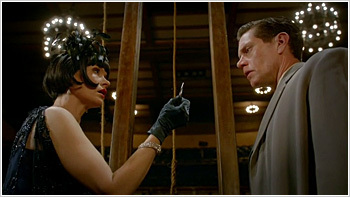 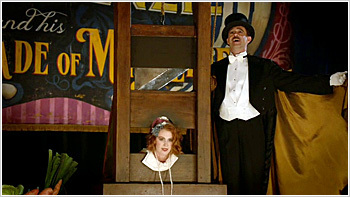 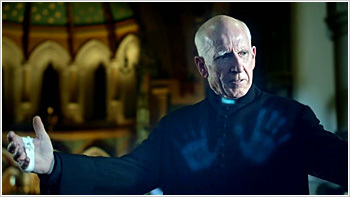 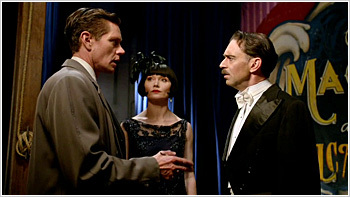 When the unfortunate assistant in the Mighty Mackenzie's Magic Show is beheaded onstage, Jack and Phryne's investigation unravels a secret murder in the past and an illusion that has fooled even the Mighty Mackenzie. 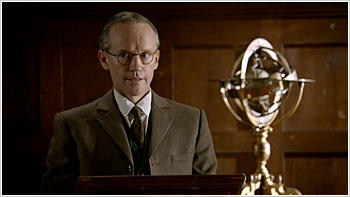 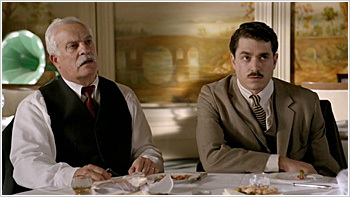 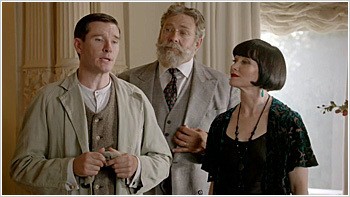 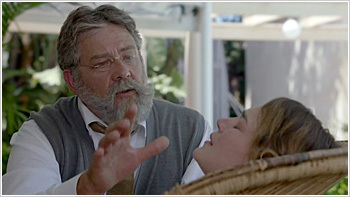 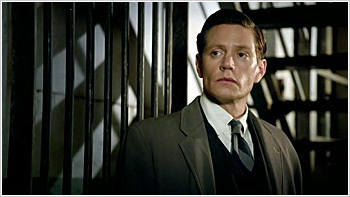 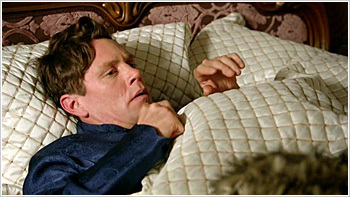 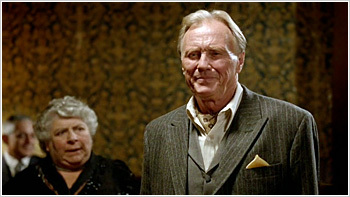 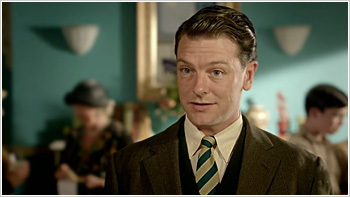 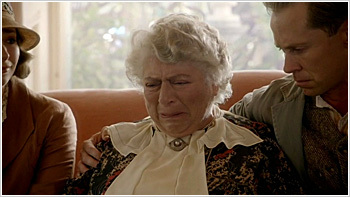 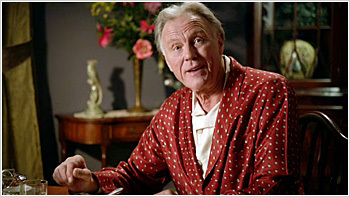 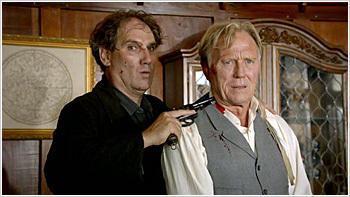 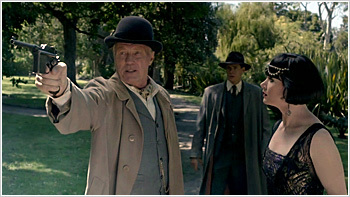 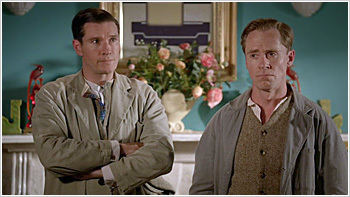 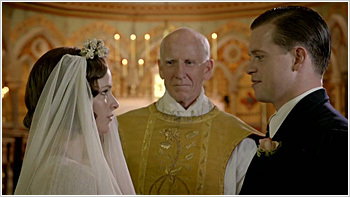 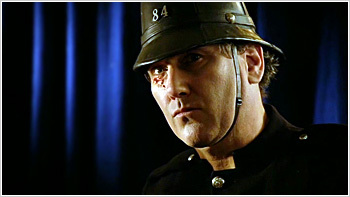 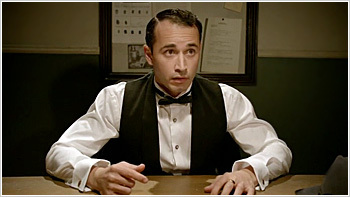 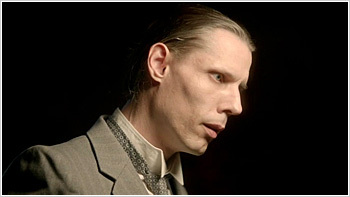 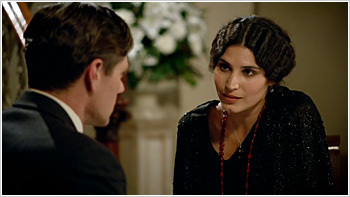 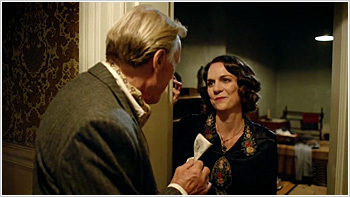 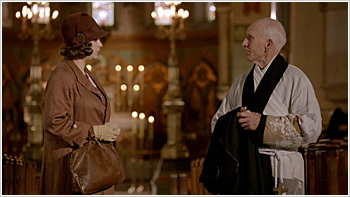 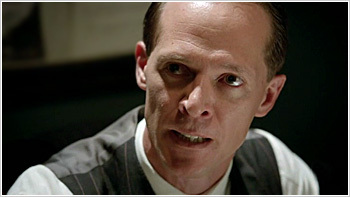 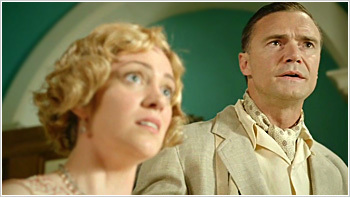 Phryne's estranged father makes a surprise visit from England. 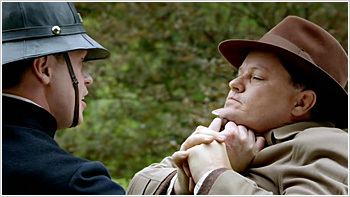 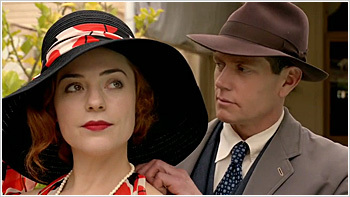 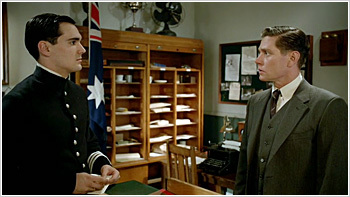 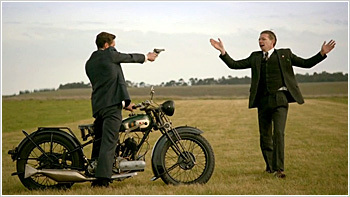 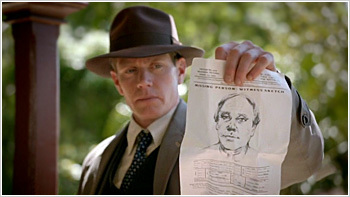 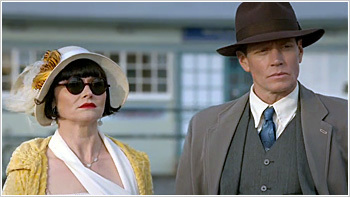 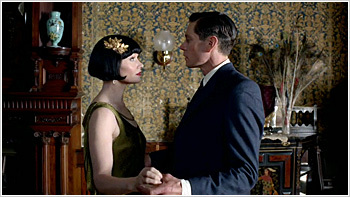 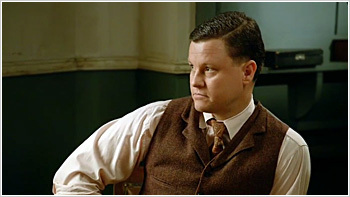 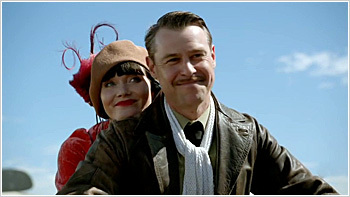 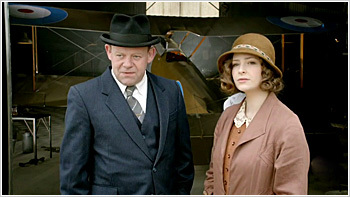 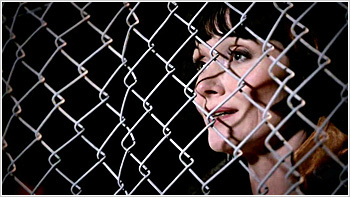 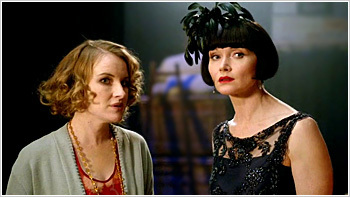 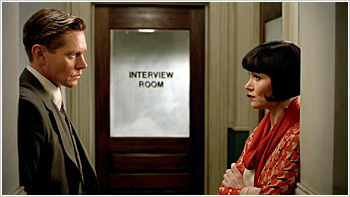 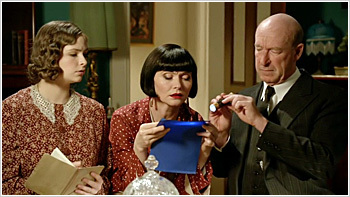 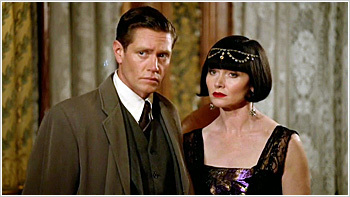 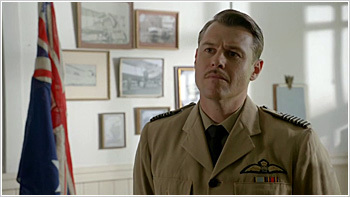 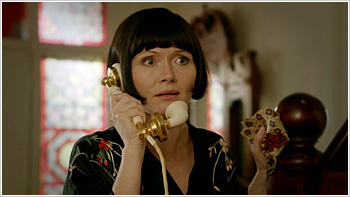 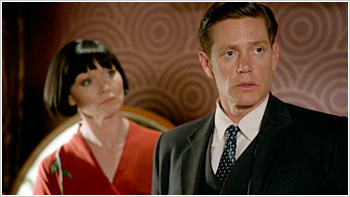 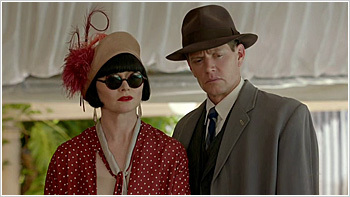 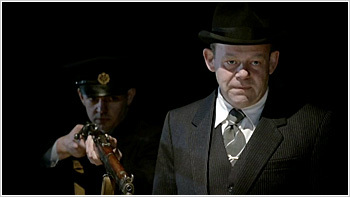 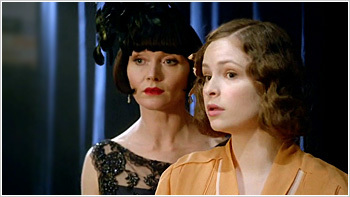 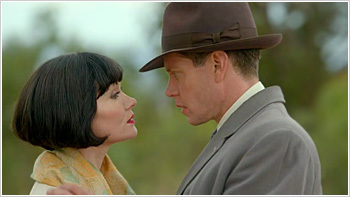 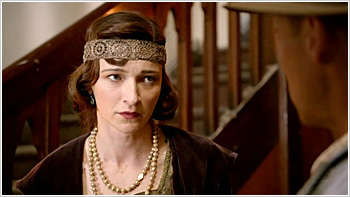 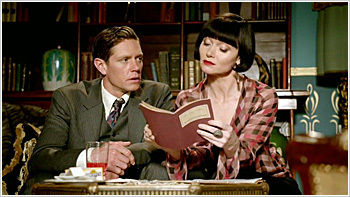 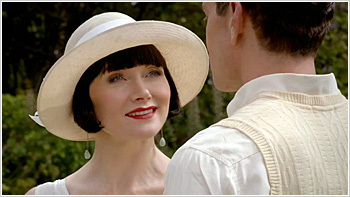 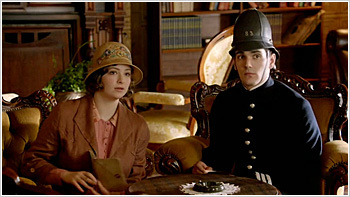 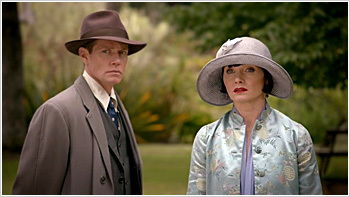 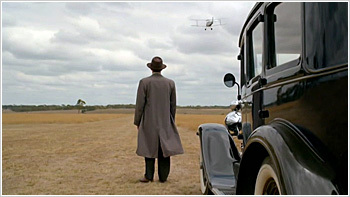 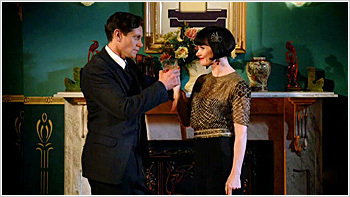 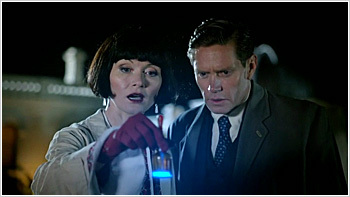 When a high ranking RAAF officer disappears without explanation from an RAAF Base, Phryne is called upon by an old flame to discretely solve the mystery, however, when an anonymous woman is coincidentally found dead on the perimeter of the same base, Phryne and Jack are soon turning their hands to a murder investigation. 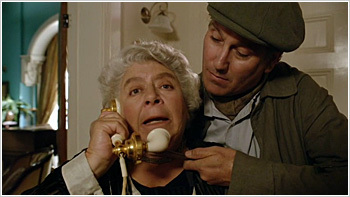 In the world of family Italian restaurants, old grudges from the village are stirred up when matriarch Nonna Luisa dies and the ownership of a secret book of recipes becomes the suspected motive. 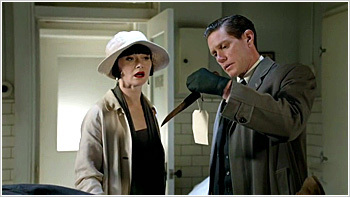 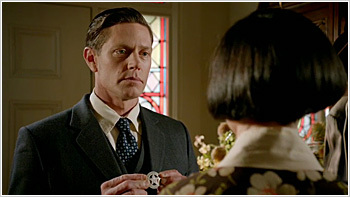 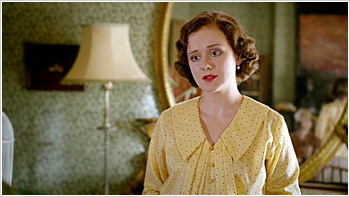 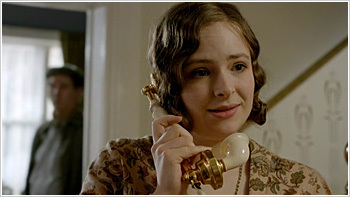 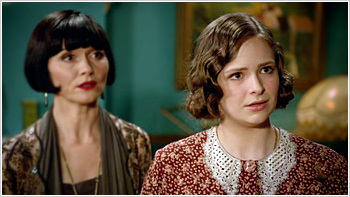 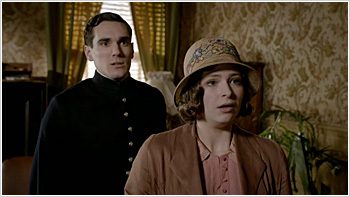 The same morning Phryne is approached by a young boy whose brother has gone missing, Dr Mac calls her to advise that another boy has been found in a shallow grave near the hospital where she works. 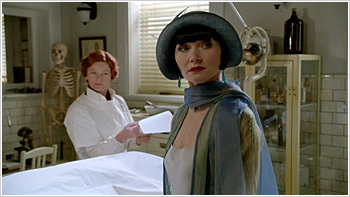 When Phryne's Aunt Prudence opens her home to psychiatrist and natural healer, Hayden Samuels, to conduct his sanatorium for 'hysterical' women, Phryne takes on more than she bargained for. 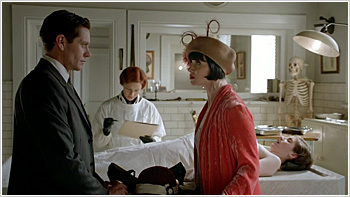 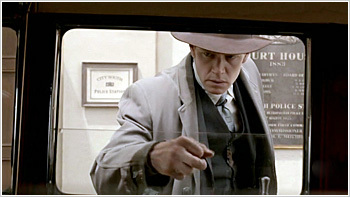 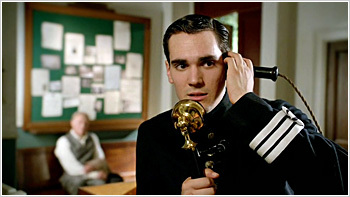 When the Concierge of the Grand Hotel is pushed from the rooftop with an empty bag 'souvenired' from Phryne's house, Jack calls Phryne into investigate what looks like a robbery gone wrong. 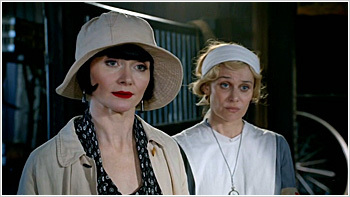 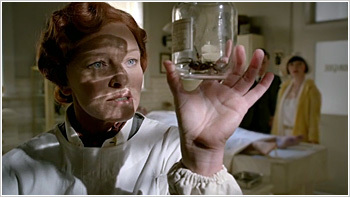 When Phryne hosts an invitational tennis tournament to raise money for female tennis players to compete like the men at Wimbledon, the practice partner of rising tennis star, Constance Burrows is fatally bitten by a funnel web spider and a murder investigation reveals Phryne's hidden fear. 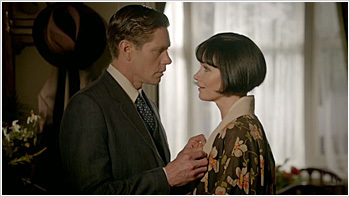 When a prize winning scientist is found murdered at the Royal Observatory on the same night the man intent on murdering Henry Fisher escapes police custody, Phryne must push all misgivings aside to protect the father who seems intent on causing her grief.